We know that content is the king of marketing as it is the only word that is ruling the entire global market. Content Marketing Plays a crucial role on B2B Marketing Strategies. How it’s going to have that power as the unique figure? The high-quality content which is most relevant and valuable that can be generated in the form of multiple categories like blogs, videos, social media shareable posts, etc. That highly encourage the audiences or users to participate in the purchase of services or products promoted in all social media platforms that are being as the part of search engines like Google and Bing. More than 40 times the visual content has been shared on social media platforms. Content has remained most valuable asset for the business for promoting brands. More than 80% employees hired by every company to their business goals. Here we have to compile the ten best practices for Content Marketing. Update the content that may be every day, monthly, quarterly or half yearly, create an editorial calendar schedules the content to update. It helps you update your content up to date need not worry what to write or search for suitable topics. Create content in different formats like audio, video and text file formats. Depending on the audience performance you can analyze and update the content in various forms. Infographic formats, video files, blog posts and audio file uploaded to social media websites depending on the nature of the activity. Blogs purely support content to update blog post every day but are not that much use for the business person, but for content marketers blogs are essential.People who love to write blog posts and who has a habit of reading they always stay on blogs. Marketers think that content is precious to generate, there are many ways to overcome it. If it is costly to spend for content markets once it has clicked on business, then it seems to be low compared to your generated revenue. Create a quality and unique content for your websites or blogs. The content you have posted not copied from other sites, no external links included in the material, it should have appropriate content relevant to your titles. Write a quality content for people and search engines. All parties should entertain with your content on websites, make sure that write content for people who are visiting your site. At the same time write for search engines also because search engines grab your data from titles, description and Focus keywords according to Google Search Algorithms. Make sure that your designed website and content on website follow the SEO best practices. Choose CMS websites, they are SEO friendly and WordPress sites top rated for SEO. SEO for content included with Header tags, Titles, Descriptions, Focus Keywords, internal links, external links, metadata and alt tags for a search engine. Post your content in all related social media sites for user engagement. Social Media will distribute your content through more audience and create as possible backlinks. Sharing on Facebook, Twitter, YouTube, Linkedin and other social media networks dramatically change your audience reach and website traffic. Respond positively to the client requirements and to brand a new product. Be interactive and give the response to the audience comments answer to them to get more user engagement. Solve the queries asked by clients and customers to identify the problem and improve your revenue. A successful, marketer always focus on measuring their performance. The success of a business depends on the types of the industry, from where people are engaging with you and what is the source that individual persons were approaching. They measure the success from Emails, Keyword search, View from social media, direct contact, type of content and other factors. Content marketing is a marketing strategy focused on creating relevant data that is valuable to the targeted audience to enhance brand awareness and increase profitability. 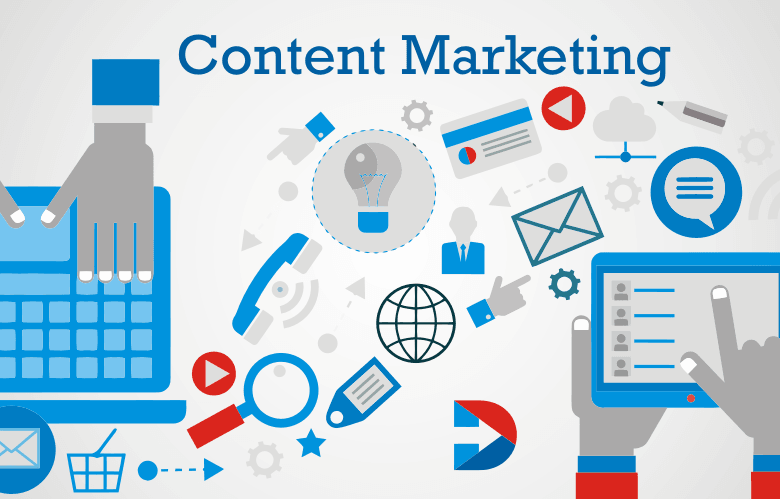 Content marketing is the most effective tool for business of any size and helps in lead generation and brand building. Consistency and quality are the keys to content marketing success. Content marketing today is not just publishing the article in a newspaper or blog or telling a great story relating to the business. There are many ways in which the message can deliver. Here are the major types of content marketing. Adding relevant images to the blog posts or social media Posts can strengthen the message while telling the brand story. It increases shares and posts. This type of content is beneficial and valuable to the audience. It shows to expertise in the field. Having relevant pictures and videos improves the effectiveness. videos are considered the best tool for delivering the message efficiently. Videos can share on the website, social media page or the blogs. Every business irrespective of the size is using social media account to reach more audience. Spreading messages and improving contacts with prospective customers is comfortable with social media. Another easy and efficient way to spread messages it to write blogs. Use this type of content marketing to solve the issues of the audience. An interactive video to share the knowledge with interested people. It is possible to allow visitors to ask questions and reach people in the related field with webinars. While selecting a type of content marketing, businesses have to take several aspects into account. These include the target audience, type of product or service, and the goal of content marketing and so on. Take full advantage of blogging but use it to test the efforts and process. Keep the blog entertaining to attract and engage an audience. Try offering solutions to the problems of audience and let it be the educational resource for the readers. Link your posts to other content and have the relevant call to action. Define the goals of the content gives an idea of what to include in the material, how to distribute what metrics should be analyzed to track the success. No single parameter can provide the details of the success of the content. Choose right KPIs based on your goals. Choose the right platform to measure the success of the material. Nurture the leads with social media and email drip campaigns. Do not overlook the traditional email campaigns. These are simple, easy and effective to deliver the right message to the right audience and enhance their brand experience. Create a blog for the company. Keep people’s attention by creating quality content. If the content is high, then the shares and engagement are more. If it is not possible to create new content, then repurpose your old content. Choosing the right platform to publish the content is very important. For this, you have to know where your target audience is. The Content also should be appropriately promoted to increase engagement. Have images and videos in the content. These hold the attention of the audience and powerfully convey the message. However, ensure that these are relevant to your content. Evolvement of digital technologies is providing the businesses with many opportunities to create innovative and inspiring content for their prospective customers. Mobile devices are going to use for accessing content. Optimizing the content for mobile devices will ensure success and in the coming days. Traditional banner ads are not going to show any effect on the consumers and businesses will have to add a human touch to their content marketing strategy to attract the customers. Native advertising is going to dominate the content marketing strategy in the next couple of years. According to studies, consumers believe online reviews and personal recommendation. Get a celebrity or local personality to promote the brand to connect with millennial consumers. It is essential to automate the content marketing efforts as there are many platforms to use social media and also email marketing. Marketing automation nurtures leads, saves time and improves content marketing efficiency. Content marketing involves creating shareable, valuable, consumable content in any form, distributing it through various mediums to reach target consumers. 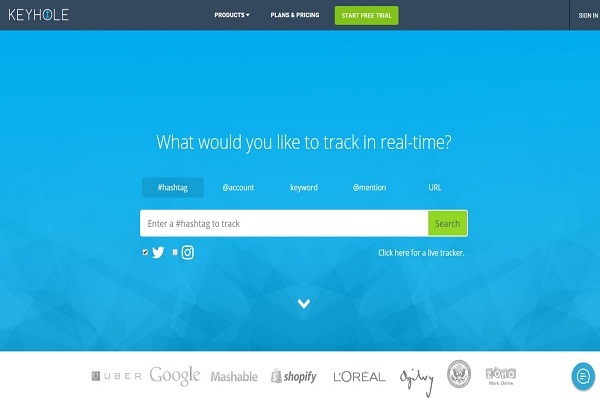 Let us see some content marketing tools for every digital marketer. Some content marketing tools are useful for the businesses to enhance their efforts and boost success. Content marketing investment is increased to meet the demands of the audience which expanded the content marketing tools universe. Socialbakers allows tracking metrics and statistics for any size of marketing on various social media sites such as Facebook, Instagram, Twitter, YouTube, etc. The cuisine is another social media analytics tool to monitor, engage and analyze keywords. Analyze social media engagement with powerful Crowdbooster tool. 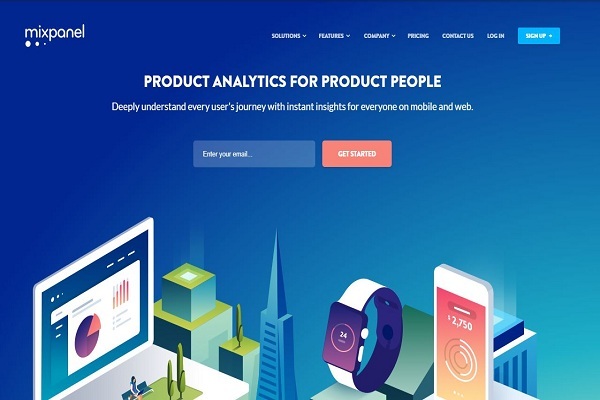 Transporter uses real-time data and recognizes trending topics on social media and provides the information to marketers to create or make changes to their content strategy. It is another useful social analytics tool that provides competitor comparison analysis and other social media insights. Alexa is a tool used to boost traffic and revenue. It is a traffic tool and gives the information of traffic data and global rankings. Webtrends is used to get the information of analytical intelligence, customer intelligence, targeting and more. Mixpanel is another social marketing tool to track user interactions and has app test and user survey form. A cosmetics is a commercial tool, and its features are behavioral analytics, segmentation, and email campaign automation. Google Analytics is a free tool that offers analytics solutions. Parse.ly allows tracking the performance of topics by administrators. Squeeze CMM estimates content ROI, generates reports and also tracks the activity of the audience. 75% companies are stepping ahead to raise the budget for content marketing in the elaboration of branding. Insight squared helps to maximize sales by offering Salesforce analytics solutions. The bright funnels tool provides forecasting solutions for B2B marketers and also shows the impact of marketing strategies on sales. SEM Rush is a suite for online marketing. It helps in tracking organic and paid search campaign keywords, SEO, PPC and social media and research. If you want an integrated tool for inbound marketing, SEO or content marketing, then choose Moz. BrightEdge is SEO and content performance marketing platform that helps in generating traffic and creating SEO friendly content. Shift improves the brand discoverability on social and searches platforms. The SerpStat SEO tool used for analysis of backlinks, keyword research, site auditing, etc. Thumbs can be used through Instagram or by taking a free subscription. It is a community of content creators. WordPress is a blogging tool that allows creating custom themes, publishing content, adding plugins. 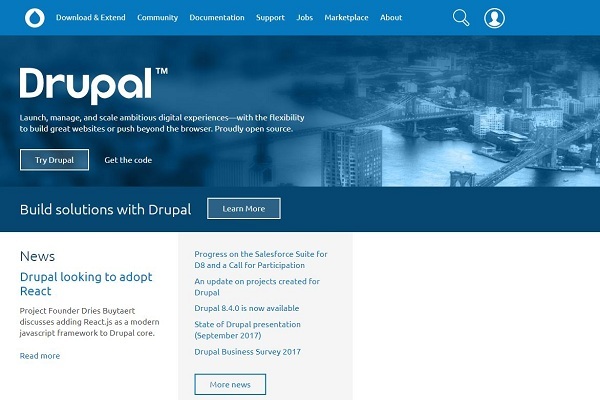 Drupal is a CMS tool that allows companies or individuals to tailor their site as per their requirement. 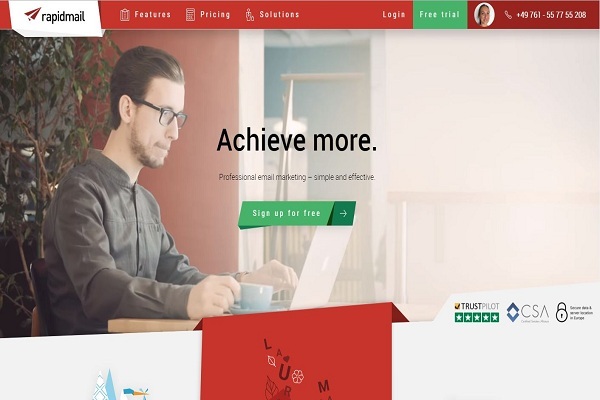 Contentful is a content management platform for editors and developers. Peridot is a marketing automation tool for creating leads, empower sales, etc. Hubspot offers inbound marketing and sales platform services and helps to boost traffic, convert leads, etc. The action is another tool for marketing automation. Users can organize campaigns or measure results with this. SalesPanda is software for inbound marketing automation. It boosts website traffic and leads. 7.8x more engagement for the website has been obtained only through content marketing. Infustionsoft is marketing software, especially suitable for small businesses and combines CRM, marketing automation, payment solutions, etc. Marketo helps the sales and marketing teams prioritize prospects based on different criteria such as behavior criteria. Magnetite is a marketing tool for digital marketers to get data insights, e-commerce personalization, analytics, testing and merchandising. 40 Nuggets are also a marketing automation tool to get analytics of audience. Average helps the marketers to get better engagement and converts the visitors to the website. Tripoli is used by marketers to personalize calls to action, content and personalize messaging for multichannel campaigns. It is an email marketing tool that helps for list segmentation and creates Sign up forms and HTML emails. The campaign monitor tool that creates, sends and optimizing email marketing campaigns very easy. RapidMail is another marketing tool that helps in the growth of readership and subscription by providing statistics and insights. GetResponse is another email marketing tool that sends email newsletters, online surveys and campaigns. MailChimp is another marketing automation tool that sends emails, building the brand, etc. The Decorated tool used for creating presentations with repurposed content. Suva is an online sales enablement tool and benchmarks the user sales enablement process. Post-war, apart from creating emails, calls, and meetings, it also manages content for sales teams. Jive Software helps for organization or work. It helps to stay organized and improve sales. The salesperson is another marketing tool for digital marketers that provide automation and marketing and sales aligning services for middle-sized B2B companies. Tweetdeck helps in managing multiple Twitter accounts, calculates brand mentions, hashtags, schedule tweets, etc. HootSuite also helps in managing multiple social media accounts, analyzes traffic to social media sites and schedules tweets and messages. A buffer is another marketing tool for digital marketers that help in managing social media accounts by adding images, articles and videos and schedules posts. The buffer is a social media content marketing tool using which it is possible to schedule, manage and analyze the content. It helps boost KPI. Keyhole provides the data of people who used the marketer’s hashtag to post content and also keeps track of the Retweets and impressions. The audience has a Twitter functioning tool and helps to follow trends. Meltwater Buzz monitors and analyzes user engagement. Social Mention analyzes content across multiple social media platforms, and this is a listing tool for mentions in social media. Kajabi is a content marketing tool that helps in creating many kinds of digital products. It optimizes the content for mobile devices. It has a user-friendly interface. Narrow is a content marketing tool for a Twitter platform. It allows analyzing, targeting and managing multiple Twitter accounts. The Clear voice is useful in every area of content marketing, be it the management of content, distribution or the measurement. Creating excellent content with lots of valuable information for the audience is not enough. Getting more outreach needed and the mentioned above content marketing tools help digital marketers to get a massive response for their content. 88% of B2B marketers completely rely on content marketing. Content is the king that can help achieve success in digital marketing. Businesses should tell their brand story to enjoy the success. Prioritize the content marketing and achieve the goals. If you want to have the realistic results of getting continuous audience engagement, then you should research creating the amazing content that exactly matches the preferences of the customers.